Last year, Facebook’s Friends Day video was highly appreciated by the users. Valentine’s Day is around the corner and if you are single or feeling lonely, take out few moments to see what Facebook brings to you. 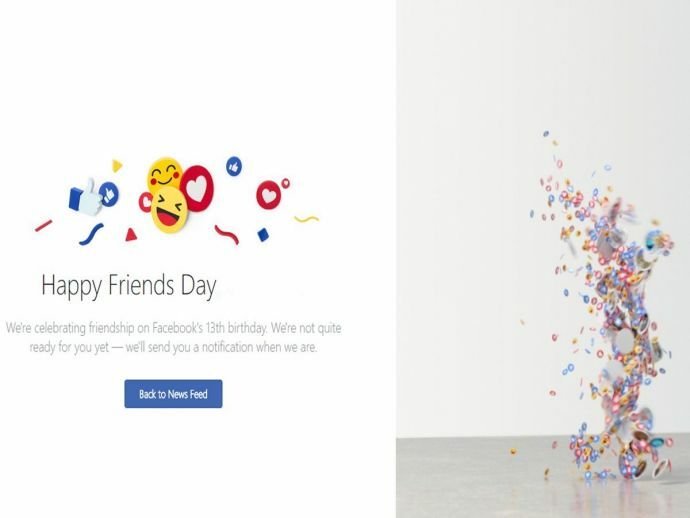 Well, we know that Friendship Day is globally celebrated in August, but Facebook has made its very own version called Friends Day on Feb 4, which is just a few days away. Today, as soon as people opened their Facebook, they got their individualised Friends Day video, and the users kept no stone unturned to share their Friends Day video. The video is a chronicle of your life over the last year, your friends and your activities on Facebook. With the help of this Friends Day video, Facebook wants to encourage its users to celebrate the importance of connectivity. Last year Facebook’s Friends Day video was highly appreciated by the users and this time also it seems Facebook has succeeded in its efforts.